Connection! Within the first few days of arriving at Likir, it was clear to me that I was in the presence of beautiful, loving children, totally open to giving love and receiving love. In other schools where I’ve taught, there were always a few students that tried to make my life difficult. But Likir (and I would venture to say, Ladakh) is different. None of the students are disrespectful, unkind, or even indifferent to you. Each is interested in you and wants to be around you. They look up to you. I smiled and laughed more in Ladakh than in any other place or time in my life. I had less worries and less stress than ever before. The region radiates peace. I think a large part of that for me was the students. In this atmosphere of peace and love, I had time to pause and consider how I was raised, why my life was so stressful and agitated, and how I could live differently. 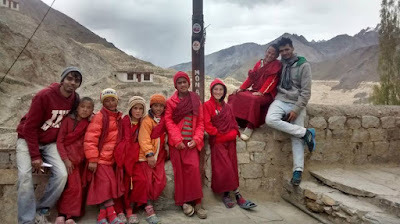 Ladakh showed me that there is a different way to live: a way that is quieter, slower, more reflective, and with more personal connection between people. But don’t volunteer if you’re not ready for these kinds of changes. Don’t volunteer if you’re afraid of what that experience will do to you. 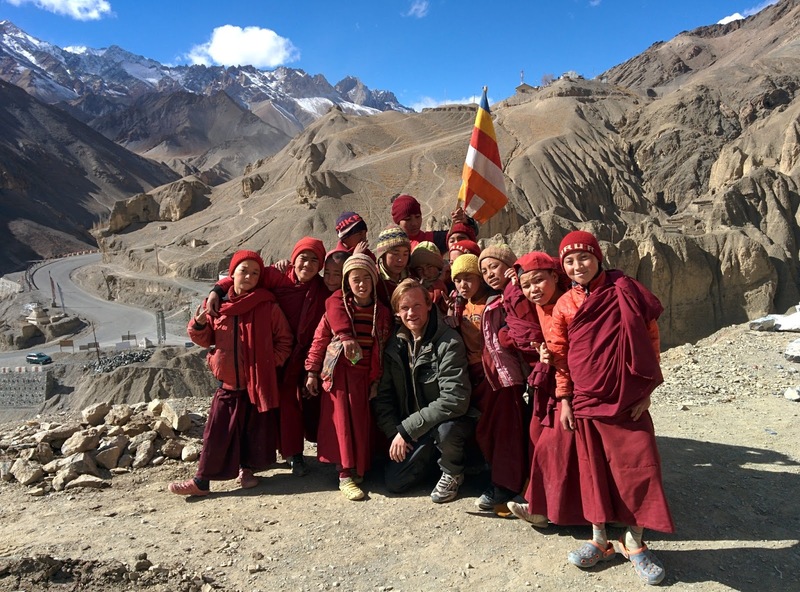 Now that I’ve returned to the US, I’m finding it difficult to adjust and to continue to live out what I learned and practiced in Ladakh. Going from a peaceful, slow-paced way of life, in which there are few if any causes of stress, and in which people are always greeting you with a friendly smile and the all-inclusive “Julley!”, to a place that’s the total opposite of that, has caused me to feel a bit disrupted on the inside." 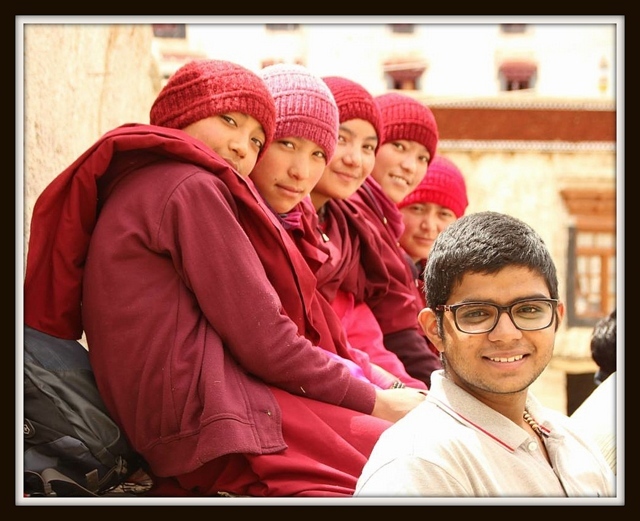 I LOVED THE LADAKHI CULTURE! I have homesickness here in the NL, I miss Ladakh and her people so much. I’m almost crying typing this thing. I guess it’s important that you set your expectations to zero before coming, so that you kind of get ‘overwhelmed’ arriving. When you expect too much of the one of the other, it might lead to disappointments. Bring a notebook or diary to write down experiences/feelings – that would be my most useful tip I think. In summary, your experience in a nutshell? Touching. I know I have gained a lot more from my time at the nunnery with my students than they have from me. It provided me with a very positive environment to think and contemplate. Even with the nearest village being 4 kms away, I never felt lonely. 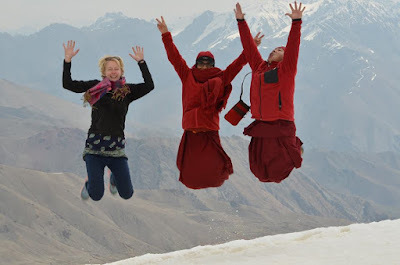 I have visited Leh before, but I never experienced it like I did during this visit. My only suggestion to prospective volunteers would be to choose an organization like Volunteer Ladakh because even though many others offer opportunities that seem to be similar, they are nothing but glamorous, while the service here is meaningful. I also know that this experience I had is going to be something that defines me as a person for the rest of my life. I shall be back again. Soon. I personally believe that what I have gained out of this experience can never be perfectly captured in words. On the teaching front, I developed a lot more patience and learned how to deal with various types of students. And believe me, that place is magical. It gives you those vibes of positivity and that aura of silence and compassion really changes your perspective of life. I taught myself how to be content with whatever you have and how stress is just a function of how ambitious you wish to get in life. My experience with my family was also beautiful. We spent so much time together and I was touched by their immense hospitality and the amount of love they can shower to a guest. Within barely, 5-10 days, I was no more a guest. I was a family member. Hence, overall, I think I have changed as a person because of this experience as it taught me how to view life differently and in a perspective I have never done before. It is definitely a once in a lifetime experience and I am glad I did it. It’s magical. I had always read of stories of those serene, beautiful places which had an aura of positivity. My school was much beyond that. 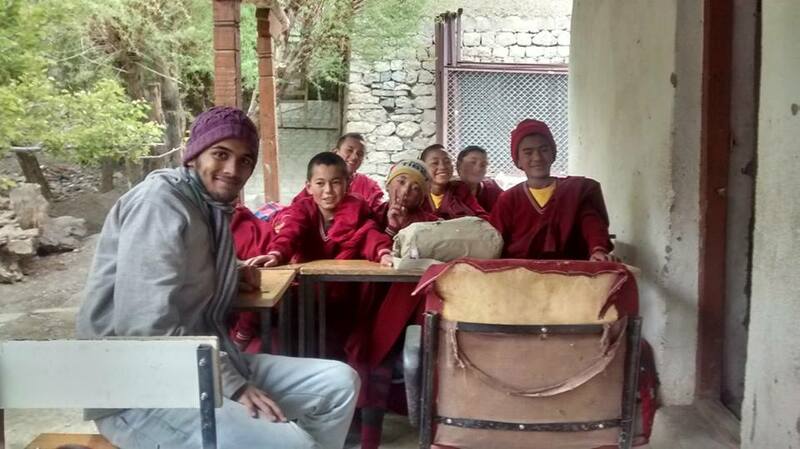 Teaching the kids there gave me an immense amount of satisfaction, of the extent I have never achieved before. 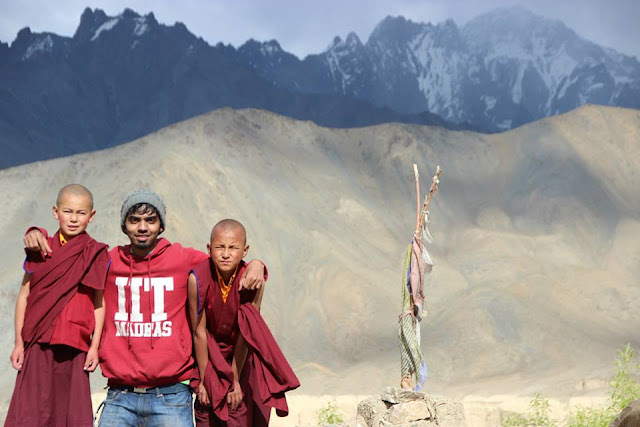 And, Ladakh will see me again. The place is so out of the world that it pulls you to its life and no one can be content by being there just once. 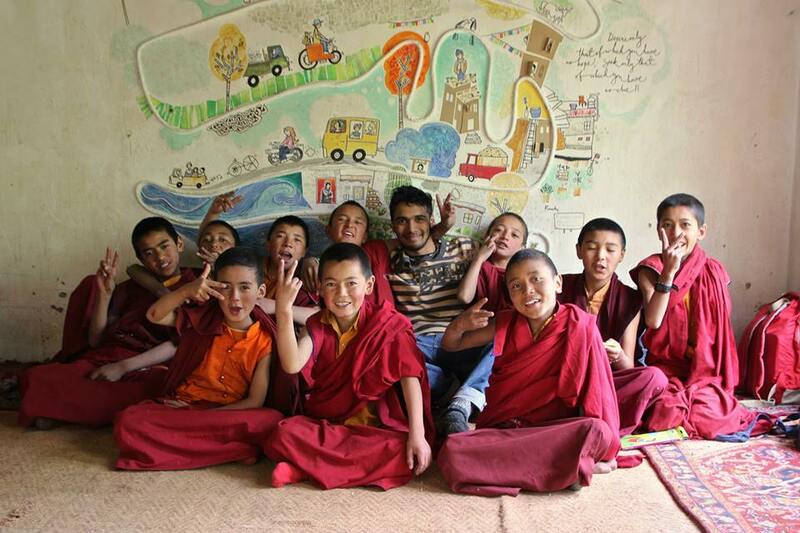 Hats off to Volunteer Ladakh, for making life changing experiences a reality for so many volunteers! Well, I will start with the students. The students were brilliant. They had very few resources as compared to the other city students yet they were outstanding in studies. They made me realize something very essential and simple that happiness has nothing to do with what we have or what we don’t. It is the state of our mind and that has to be the lesson of my life. They were always happy in whatever they did and valued everything they had. While teaching they checked my patience and taught me to keep my anger at bay. 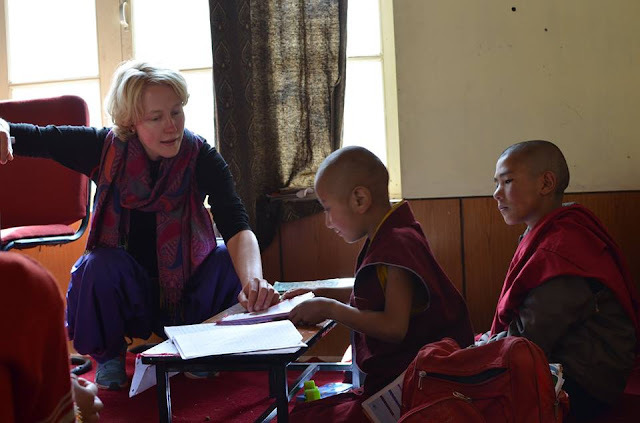 The teachers consider the students as their children and that is something which was very heartwarming to see. I met various tourists during my stay there who were from different countries like Italy, Israel, France, Russia, UK, etc. Everyone had a unique story to tell and an all together different lesson to teach. The family I stayed with literally became my family. Sevang didi taught me how to knit. 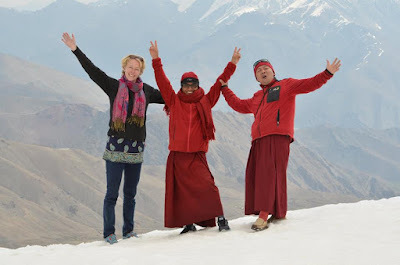 :D It is really amazing how Ladakhis welcome strangers in their lives whole heartedly and shower their love and blessings on you without expecting anything in return. They taught me how to trust people which surely we people from the city don’t know how to. This surely was THE experience of my life, one which I will never forget and one which I learnt a lot from, learnt the basics of live, learnt how to live a life! Danny with a view of his students.. It made me realize that I like teaching, that I want to continue with teaching. Other than that Ladakh is an amazing place and being able to spend time there with locals, with monks, is precious. 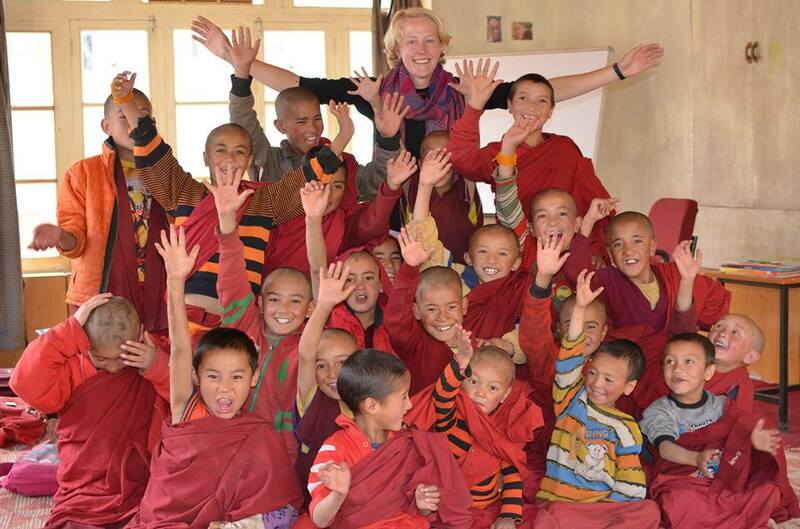 It still brings warmth into my heart thinking about Ladakh and the people of Ladakh. I never had such a strong reaction to any other place I have travelled to. I think I am still figuring out what I got out of the experience.